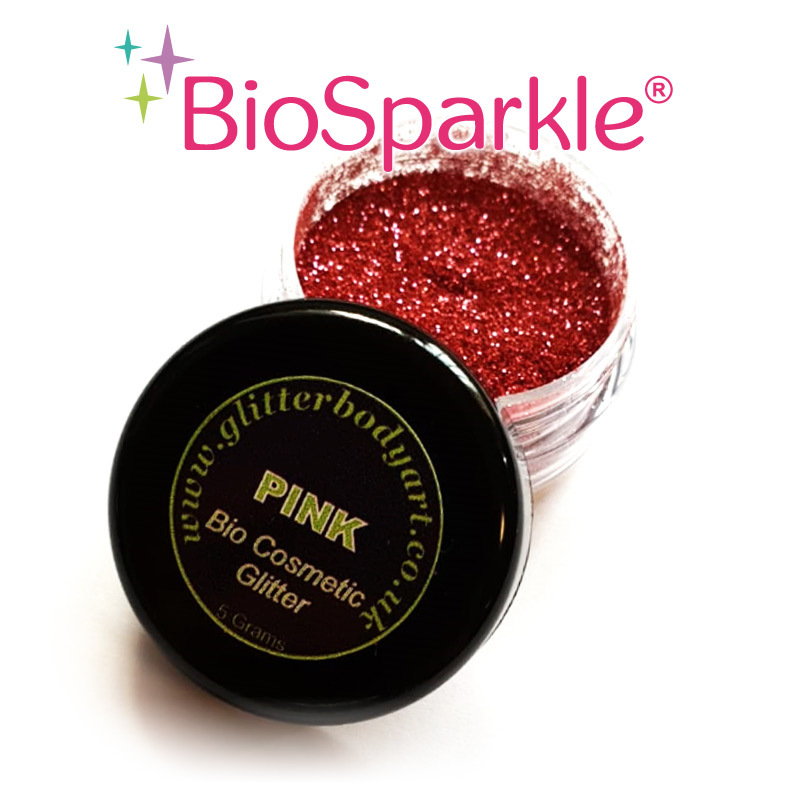 Our Cosmetic, Biodegradable Bioglitter is environmentally friendly glitter, used for cosmetic purposes, and suitable for use on the face, hair or body. It can be used for applications such as glitter tattoos, make-up, festival glitter, nail art, glitter hair and be kind to the environment at the same time. 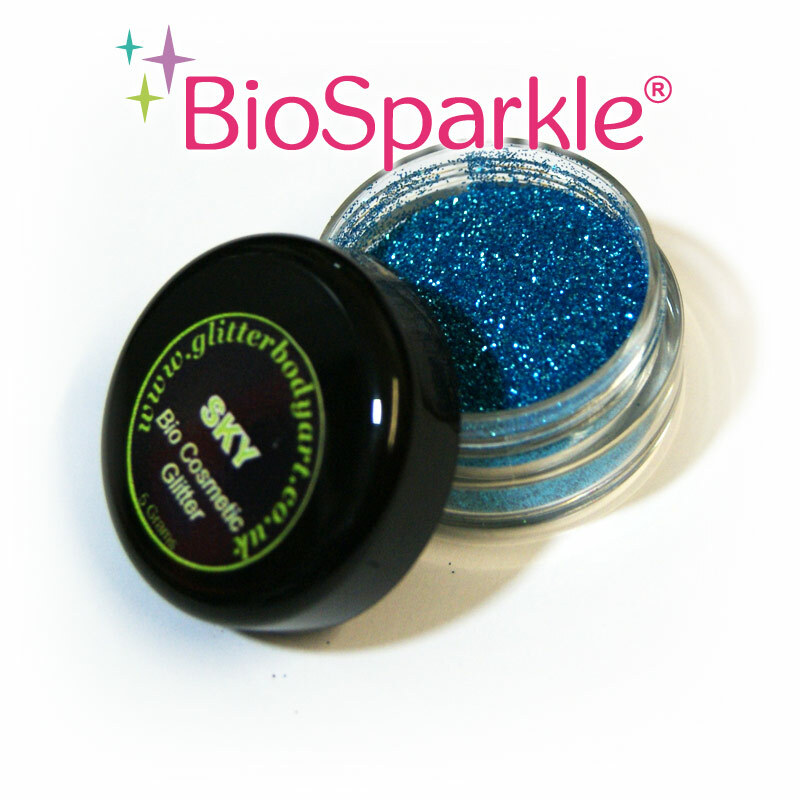 Our specialist vegan glitter is produced from biodegradable film, it does not contain genetically modified materials, therefore the glitter complies with European Cosmetics Regulation 1223/2009 and FDA approved. It is not tested on animals so is classified safe for Vegans. Download our data sheets for more information. 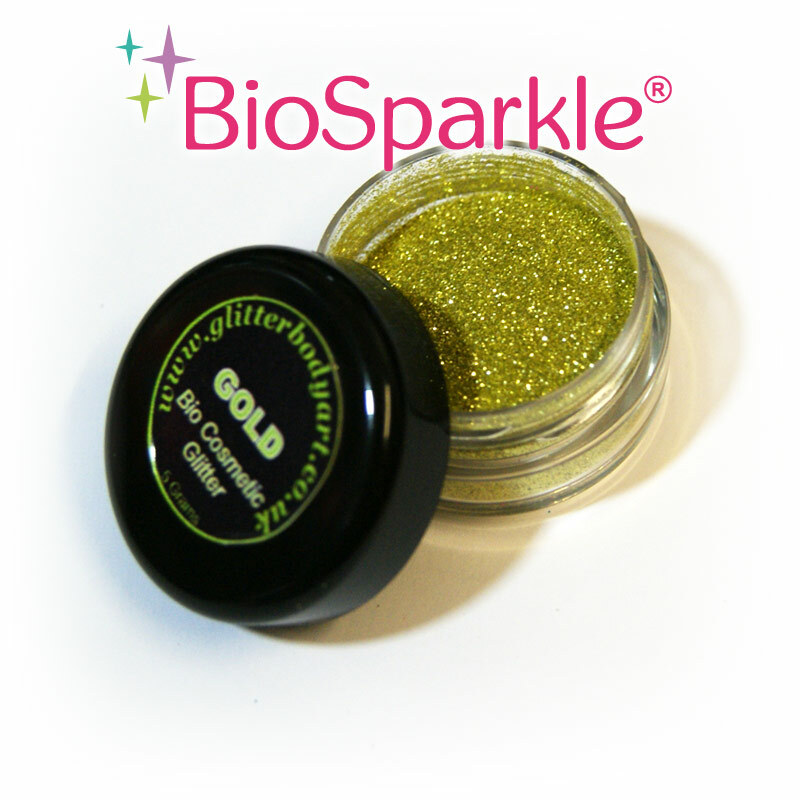 Our bio glitters are very stable and will not biodegrade on the shelf and has an indefinite shelf life. Biodegradation will only start when subjected to soil, compost or wastewater environments. 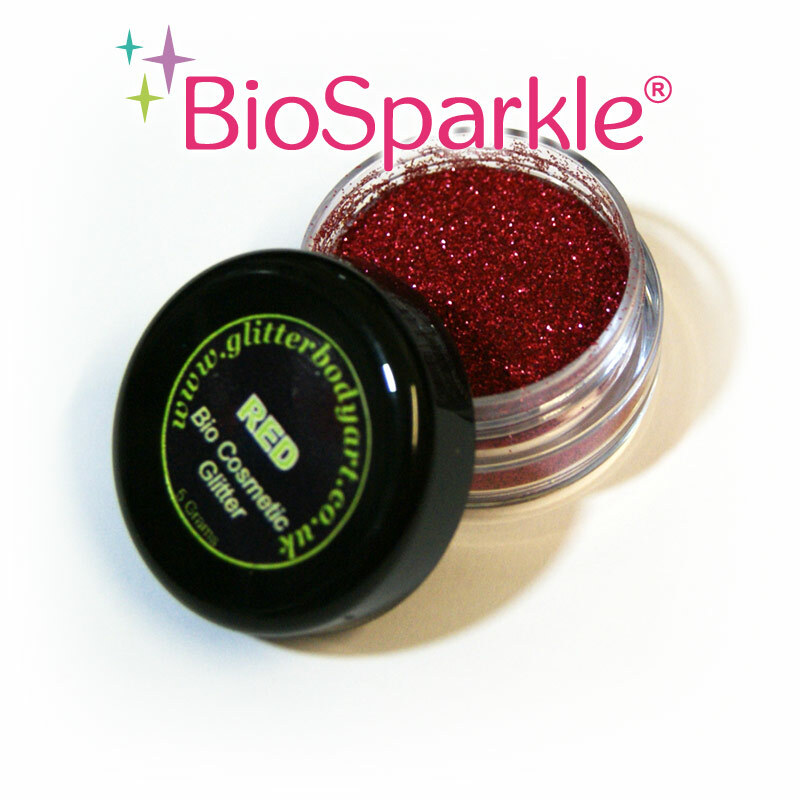 Biodegradable glitters break down naturally in the environment so that no harm can come to wildlife, perfect for outside events like carnivals and festivals or the environmentally friendly amongst us. 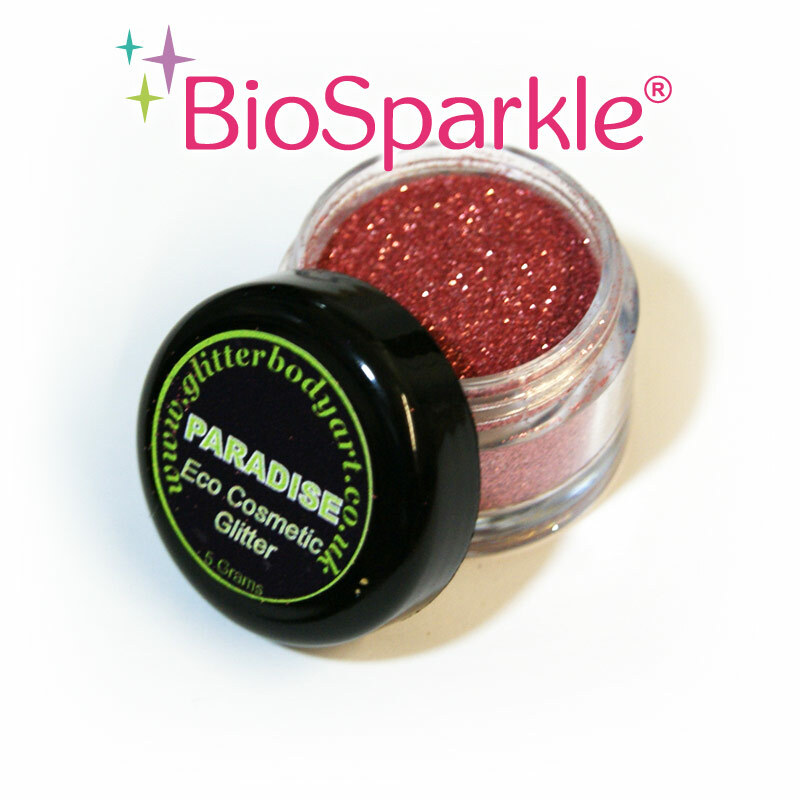 Cosmetic biodegradable glitter is primarily comes from Eucalyptus trees and is recyclable. 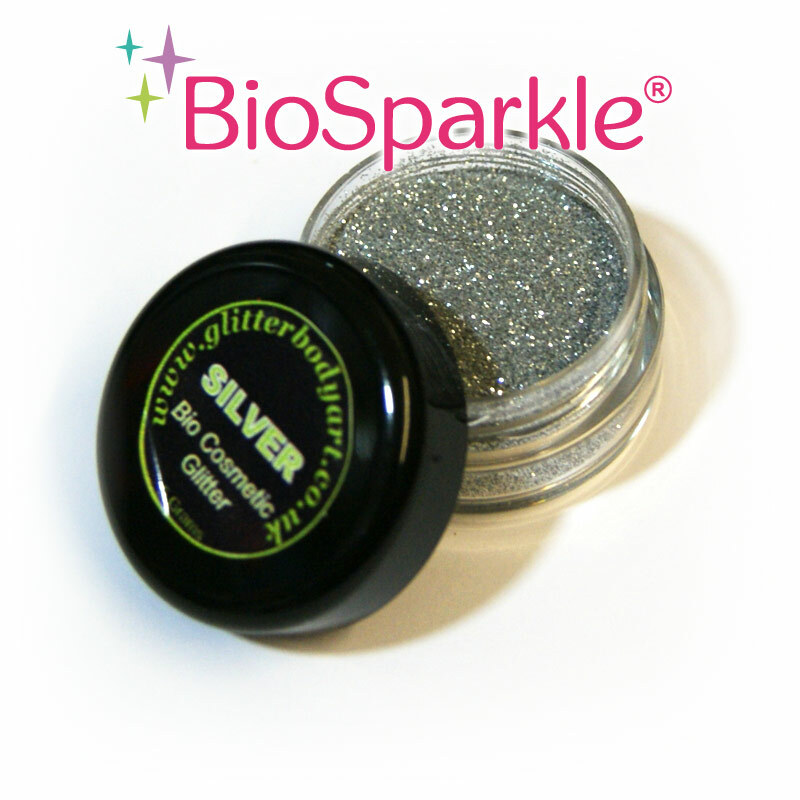 To apply to the skin we recommend our Make-Up Glitter Fix. Our standard colour range is packaged in 5 Gram Jars with screw top lid. We have a large range biodegradable glitter colours in stock, along with our cosmetic glitters & festival glitters. Cruelty free and vegan friendly. Our range are just as sparkly and beautiful as our normal colours, but environmentally friendly. 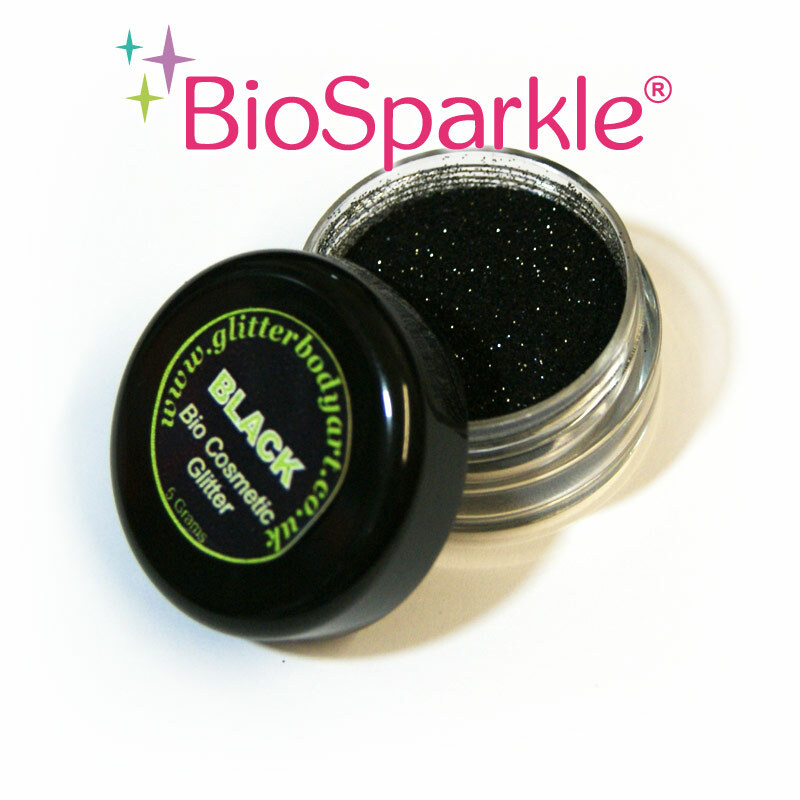 The particle size is 006 Hexagon and as a result are softer and smoother on the skin. Our new range is size 008 so much more sparkly. 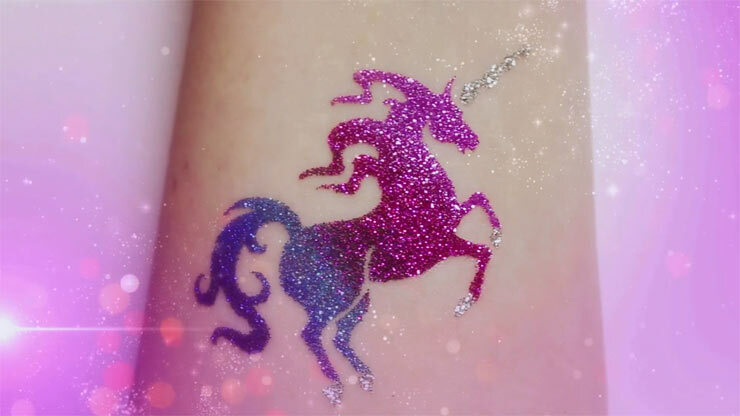 See how you can use our BioGlitter colours to create fantastic Temporary Tattoos, great for adding a bit of sparkle to your party! 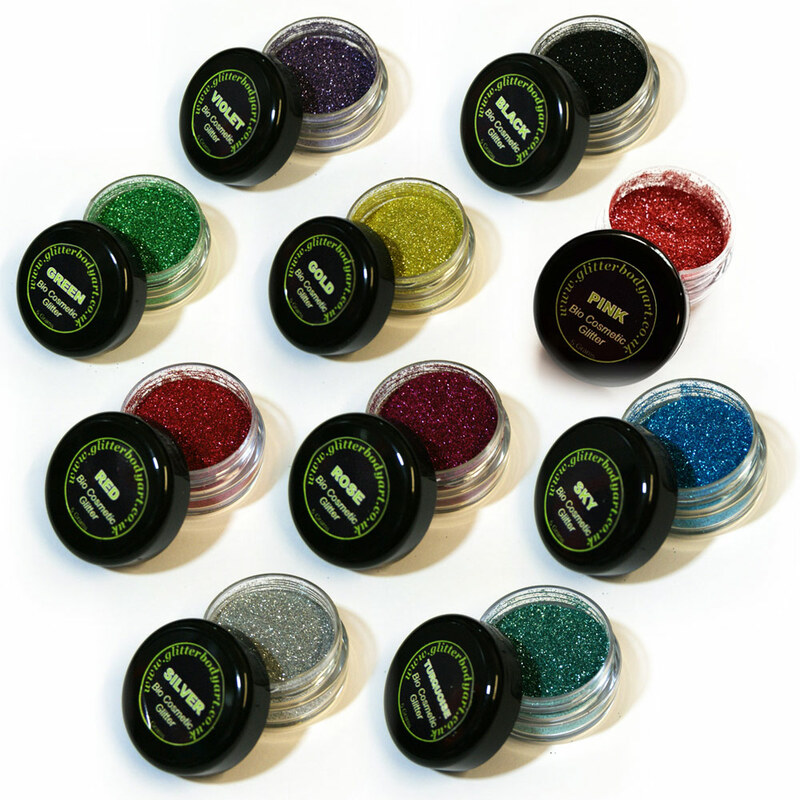 We have a huge range of glitter tattoo stencils to choose from.